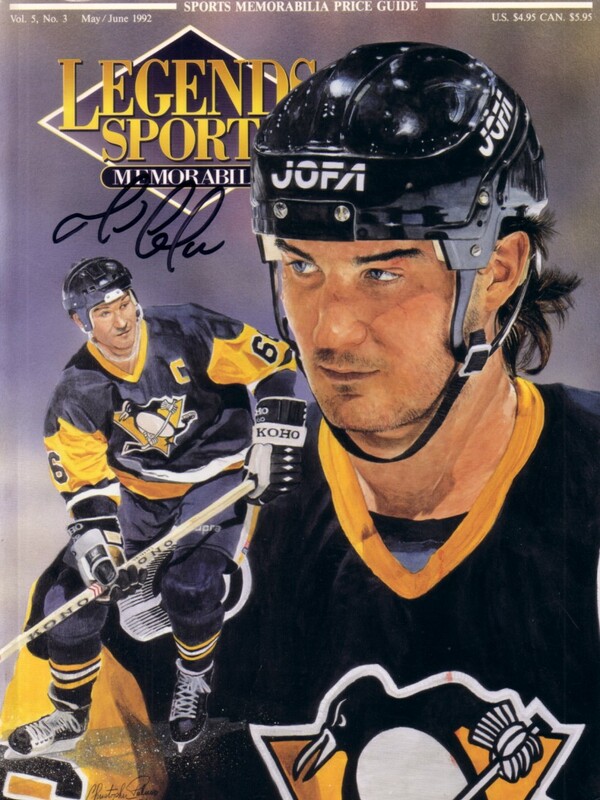 Complete May/June 1992 Legends Sports Memorabilia magazine autographed on the cover in black marker by former Pittsburgh Penguins superstar Mario Lemieux. 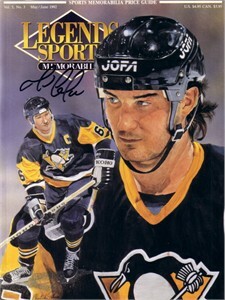 Cover has minor flaws and wear but is still suitable for framing. ONLY ONE AVAILABLE FOR SALE. With certificate of authenticity from AutographsForSale.com.